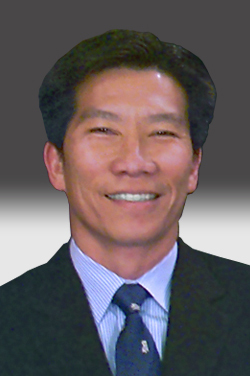 LEIGHTON CHONG | Ostrager Chong Flaherty & Broitman, P.C. Mr. CHONG received his B.S. degree in Electrical Engineering from Yale University (1971), and Doctor of Law degree from Boston University School of Law (1974). He is admitted to practice law in the States of New York (1975) and Hawaii (1993) and U.S. District Courts, Southern and Eastern Districts of New York and District of Hawaii, and is a registered patent attorney with the U.S. Patent and Trademark Office. Practice areas include Patent, Trademark, Copyright and Unfair Competition Law with technical experience in computers, software, and electronics. He practices as principal attorney in his Honolulu, Hawaii, office affiliated with the Firm. NEW YORK UNIVERSITY, graduate studies in public policy and macroeconomics, 1981 - 82. BOSTON UNIVERSITY SCHOOL OF LAW, Juris Doctor degree, 1974.